Hi guys! It's Monday once again so let's get a collective sigh all around the room. Austin woke me up this morning and I rolled over and told him it was Sunday and I was going back to sleep. Haha. Hopefully you guys are not as out of it as I have been all throughout today. 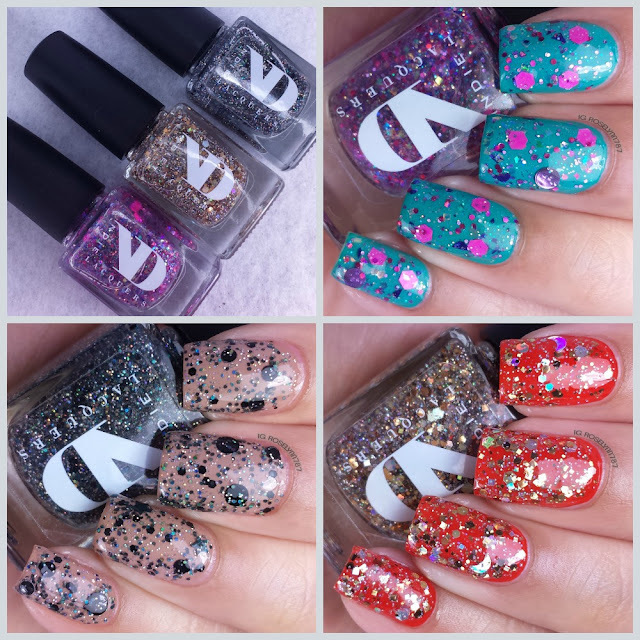 If you are though, you need not worry because the polishes I have today will make you want to party your top off. And before everyone freaks out over my amazing nail growth, let me just say these photos were taken last week before I filed down. I don't think I could handle nail growth that astronomical. 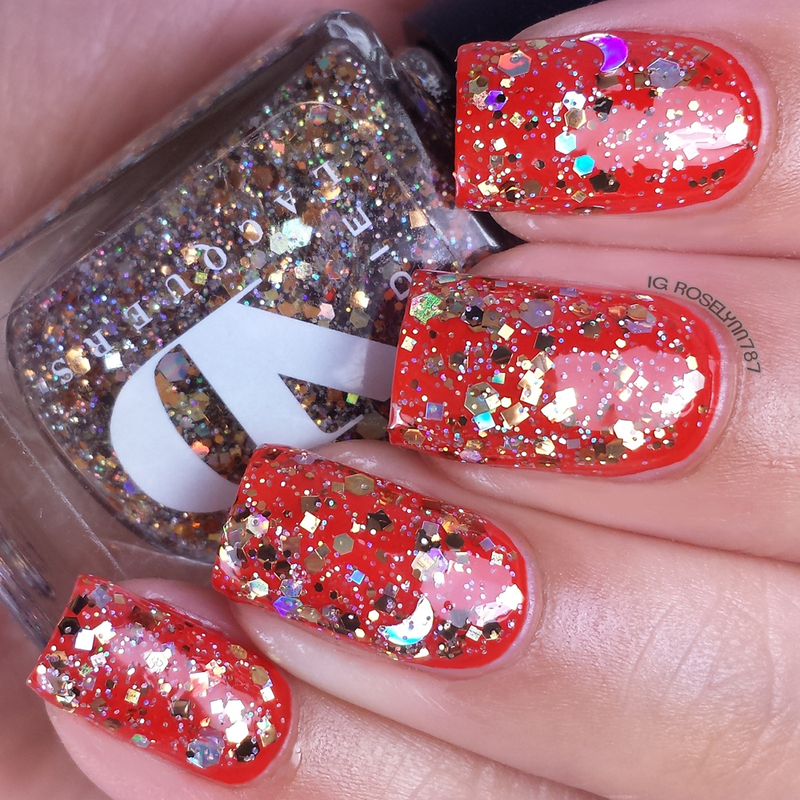 But anyhow, for today I'll be sharing the Holiday 2014 Trio by ND Lacquers composed of all glitter toppers. The Holiday 2014 Trio by ND Lacquers is now available for purchase. You can purchase each of the polishes shown here in both full or mini sizes. Please note: these are clear based glitter toppers so you'll need a undie or your naked nails will peek through the glitters. That being said, let's get the holiday partying started! 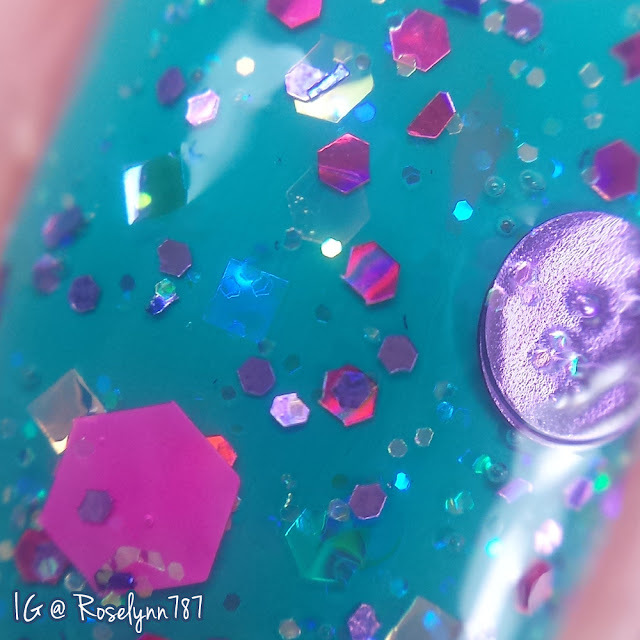 Party Crasher is a dense glitter topper filled with iridescent glitter mix, neon mega hex, lavender and magenta holo glitters. For these swatches, I used Color Club Abyss for my base and used two coats of Party Crasher. As soon as I saw the colors in this glitter bomb I knew immediately I wanted needed a teal base. Oh. My. God. Doesn't the color combination look absolutely stunning?! 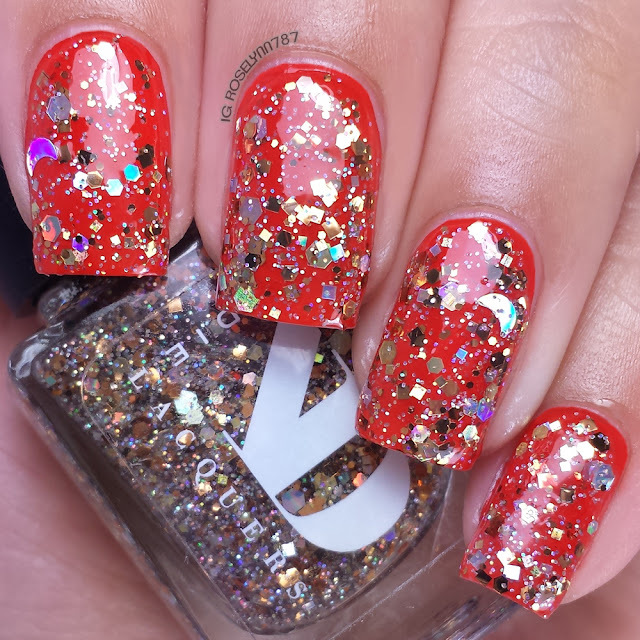 Glitter toppers are only as good as their formulas and this one is exceptional. No fishing for glitters needed and it applies smoothly with little need to dab. Twinkle-Twinkle is a dense glitter topper filler with gold holo mix, silver holo half moons and bronze glitter mix. 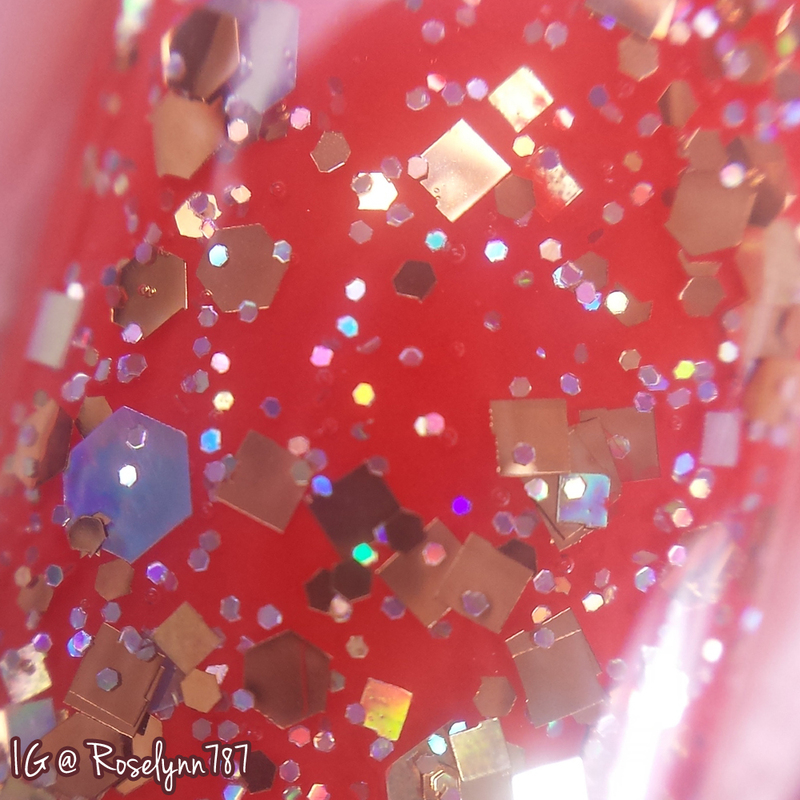 For these swatches, I used OPI Race Red for my base and used two coats of Twinkle-Twinkle. Perfect topper for the holidays and it can go over so many different shades. Same easy-to-apply formula, but does need a bit more dabbing to apply evenly. No having to fish for glitters and you'll actually find yourself putting some back in the bottle. A very nice addition to any collection. Starry Night is a dense glitter topper filled with black and silver holo mix, black holo stars and black dots. 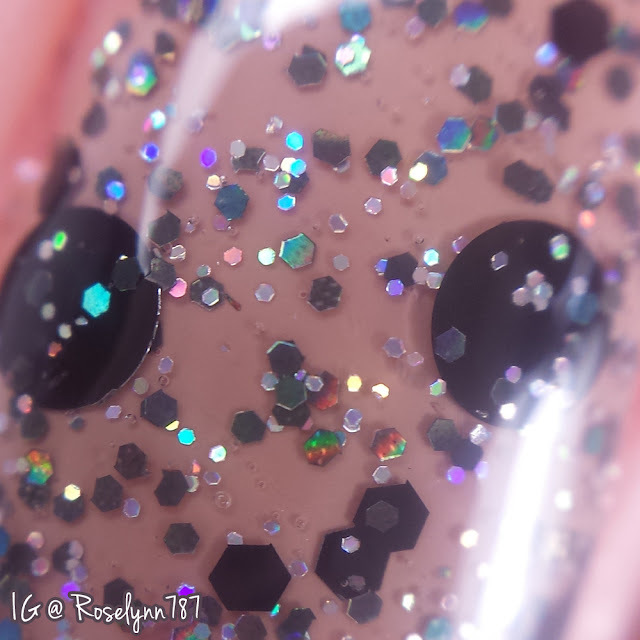 For these swatches, I used Zoya's Spencer for my base and used two coats of Starry Night. I'm really glad I went with my gut instinct with the base color, because this straight up looks like chocolate chip cookies to me. This is hands down my favorite topper from the collection. Again, awesome formula as the rest of the toppers. Very little dabbing needed. Overall I'm definitely loving the glitter toppers from the Holiday 2014 Trio by ND Lacquers. In general, glitter toppers tend to be my favorite thing to wear during festive seasons. The color combinations and mani's possibilities are endless. Best part about this trio is the flawless and easy-to-work with formula. Two easy coats is all it takes as you can see with these swatches. As mentioned before, the Holiday 2014 Trio by ND Lacquers is already available for purchase in both full and mini sizes. 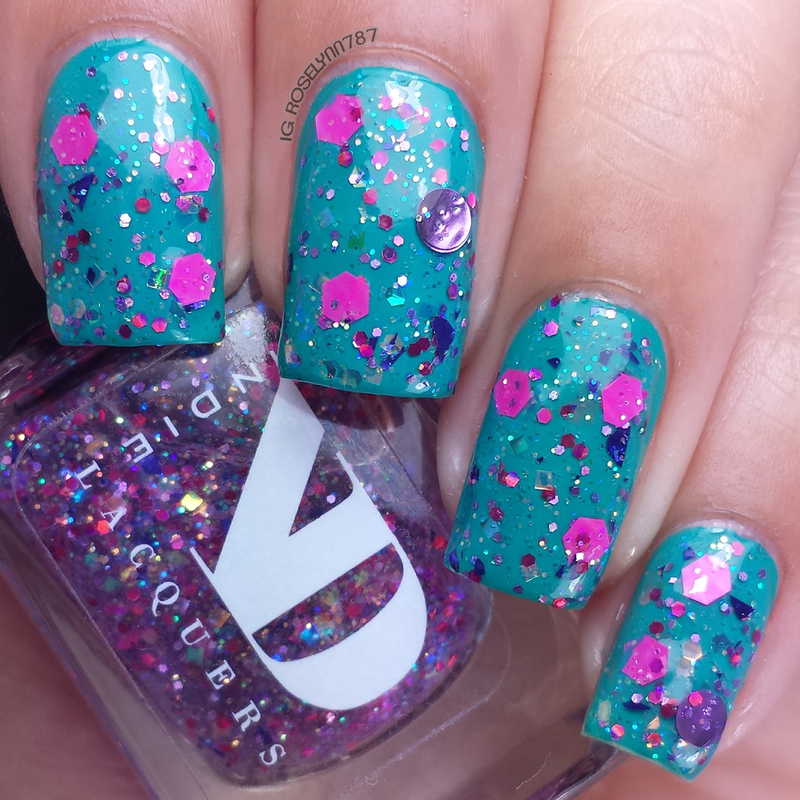 Don't miss out and don't forget to follow ND Lacquers for latest releases and stock information.